Matt and I have coached cross country and track at Barrington High School together for the past five years. A few years before that, he was one of MY coaches when I was a runner on the team. After all of the time I’ve known him, I can confidently say that he is one of the greatest people you’ll ever meet. Ask any student of his about him and they will tell you that he is absolutely their toughest teacher, but that he is also one of the best teachers they’ve ever had. It was only in the last year that he first mentioned Vanesa. There had only been a handful of times that I’d heard him talk about ladies in his life so this had to be something serious. Matt and Vanesa are perfect together and I was thrilled to be able to document their big day. 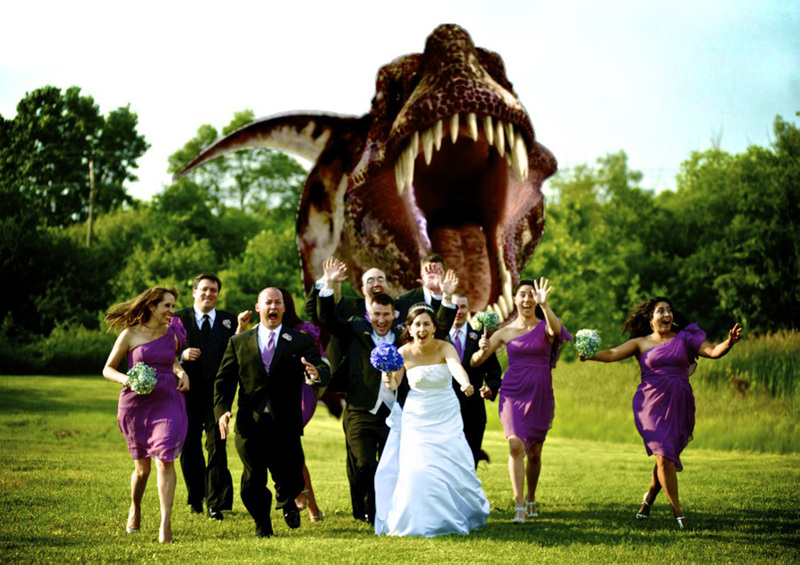 Not sure how I got convinced to shoot what has become almost a cliche bridal party photo (the dinosaur shot…) but I’m pretty glad we made it happen. : ) Thank you, Matt and Vanesa, for an incredibly fun day!